Norwegian skier Vinjar Slatten is forced to hop back up the mountain to retrieve one of his skis which had fallen off during his run in the opening qualifying round of the men's moguls. France's Perrine Laffont 'barely puts a foot wrong' on her way to the top of the leaderboard in the women's mogul qualification ride. 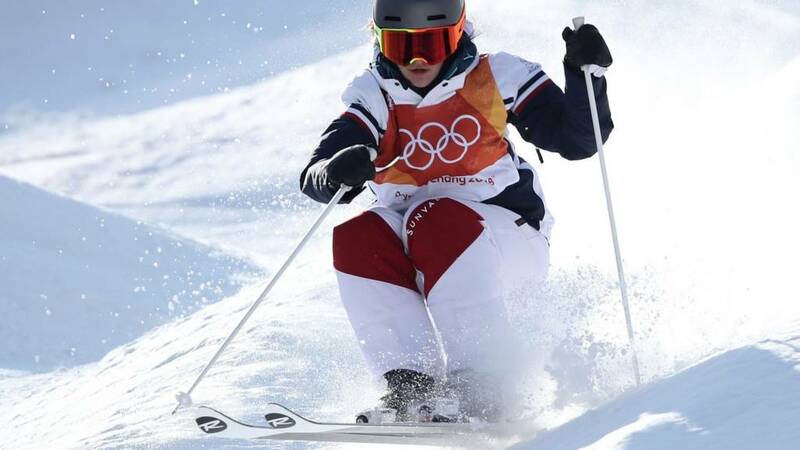 Korea's Seo Jung Hwa on the other hand gives us an idea into what the treacherous mogul run holds for competitors. Olympic athletes from Russia beat China 6-5 thanks to a takeout shot with the final stone of the extra end. The win gives OAR a 3-1 record after four of their seven matches in the qualification round robin of the curling mixed doubles. BBC Sport's Tim Warwood takes us on a whistle stop tour of the host city of the 2018 Winter Olympics, Pyeongchang, giving us an insight into the culture, the weather and even the latest technologies available. Olympic athlete from Russia figure skating pair Vladimir Morozov and Evgenia Tarasova set the highest score in their team pairs routine to put OAR fourth overall going into Sunday's program. Canada lead after two rounds with a score of 17, four points ahead of OAR. Controversy ensues during last night's curling mixed doubles match between China and Switzerland at the Winter Olympics, as a member from both teams appears to move one of the stones during a potential match-winning end.